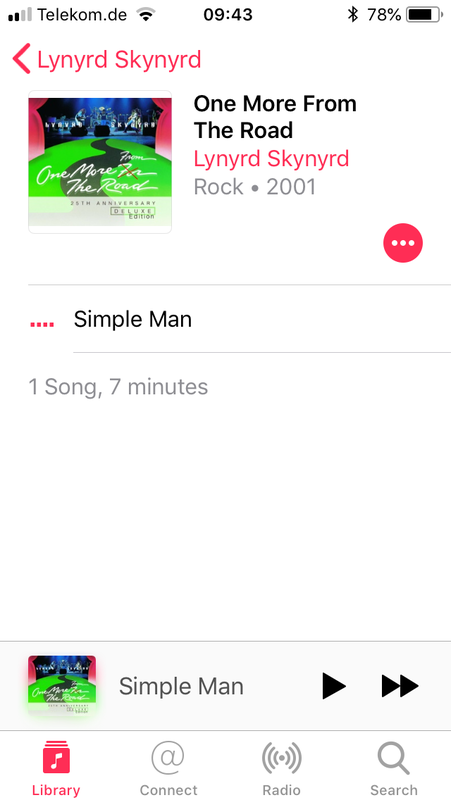 How can I display lyrics on Apple Music? I edit MP3 tags through kid3 app. What I expect as a result: lyrics are displayed in music app. 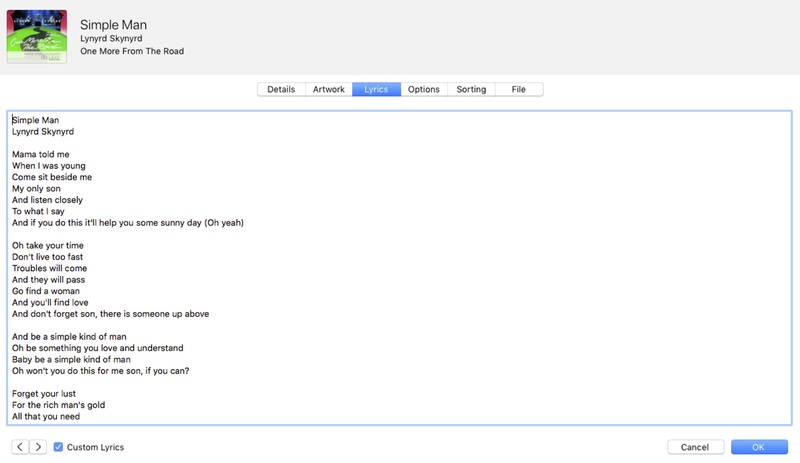 What I actually get: no lyrics displayed. 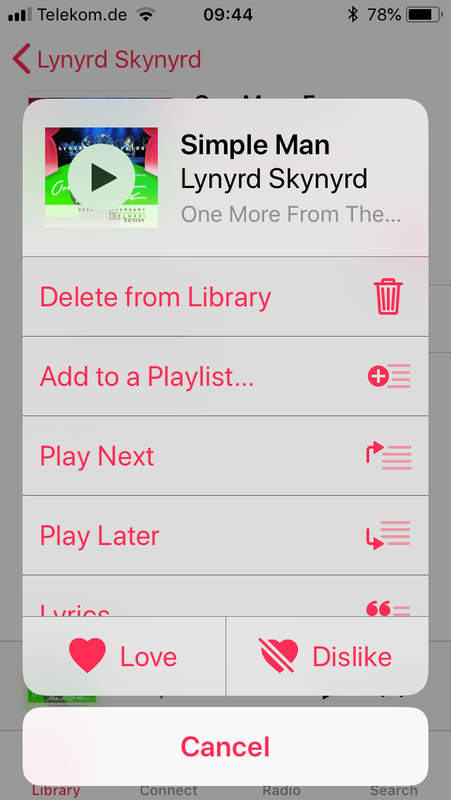 I use kid3 to add lyrics to mp3 files, which the iOS Music app can then show. I can take you through how I do it with macOS High Sierra 10.13.5 and iOS 11.4. 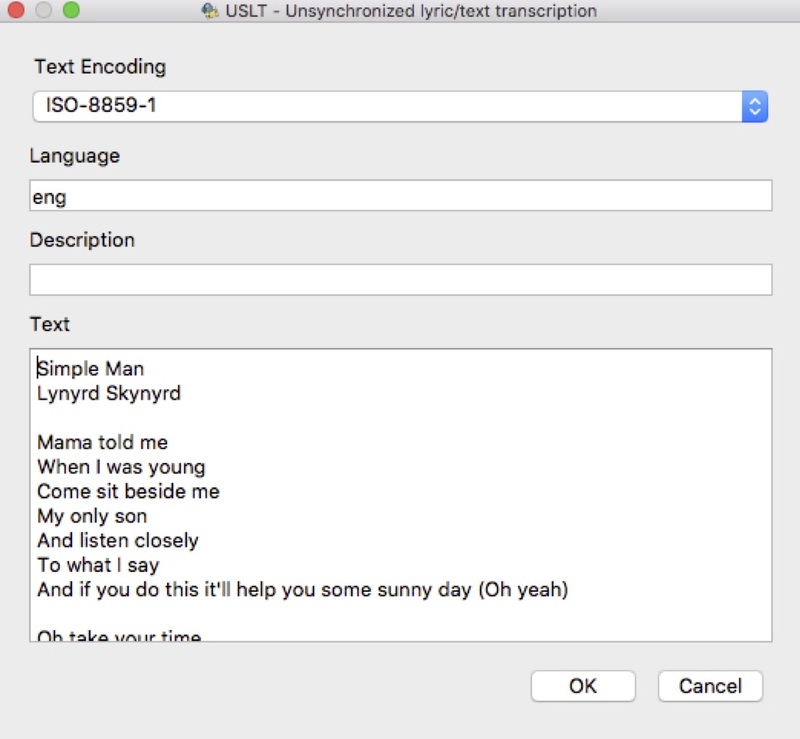 The text encoding I use is ISO-8859-1 (which I understand is basically ASCII, is compatible with UTF8, and is fine unless you have non ascii characters in your lyrics). Furthermore Language is set to eng. 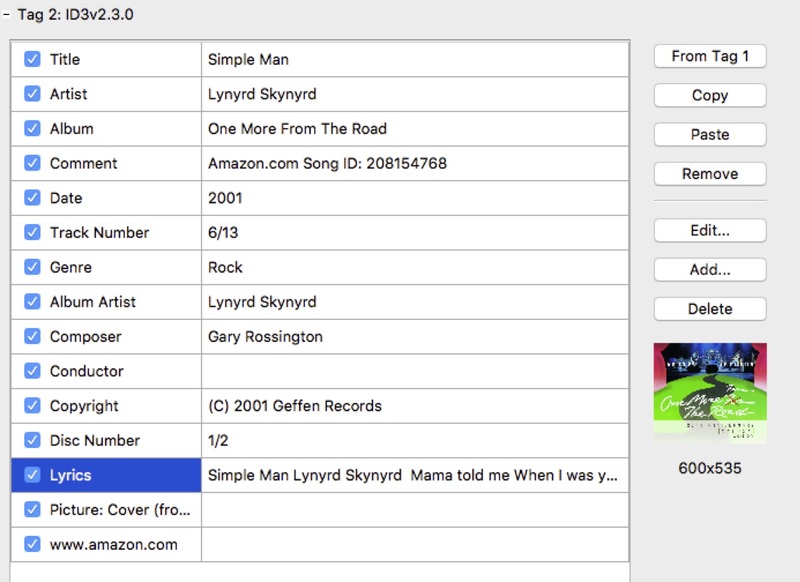 Having saved the lyrics into the file with kid3, check in iTunes if your song contains your lyrics. 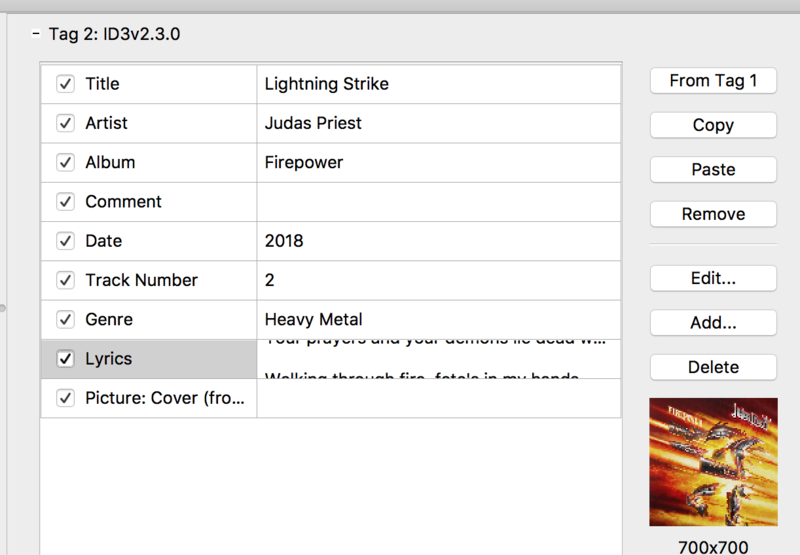 Right click on the track in iTunes, select Song Info, and select the Lyrics tab. The lyrics you added in kid3 should be visible, and the Custom Lyrics box in the bottom left hand corner should be checked. If the lyrics are not present then delete the song/album from the iTunes library, re-import it, and check the lyrics are visible in iTunes before proceeding. Next delete the song/album on your iPhone. Then transfer across the new copy from iTunes to your iPhone. Tap and hold on the track name until a menu appears, then swipe up to show the bottom of the menu list - Lyrics is often right at the bottom and can even be partially or fully hidden when the menu first appears. Having said all this, I personally find viewing lyrics from mp3s with the Apple iOS Music app to be extremely poorly designed, and much prefer to use other 3rd party apps such as Cesium. Not the answer you're looking for? Browse other questions tagged iphone ios music apple-music mp3 . 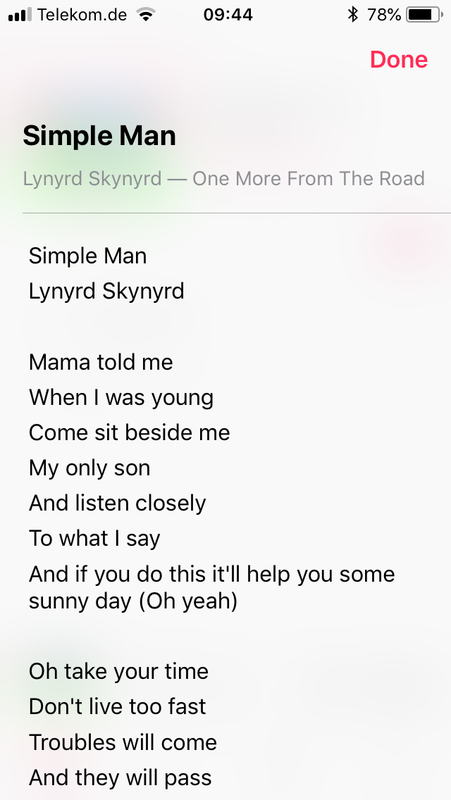 How to display Lyrics for the song in Apple Music on iOS?